Get your construction project off to a great start with professional, easy to manipulate topographical survey drawings in CAD, PDF and paper formats. 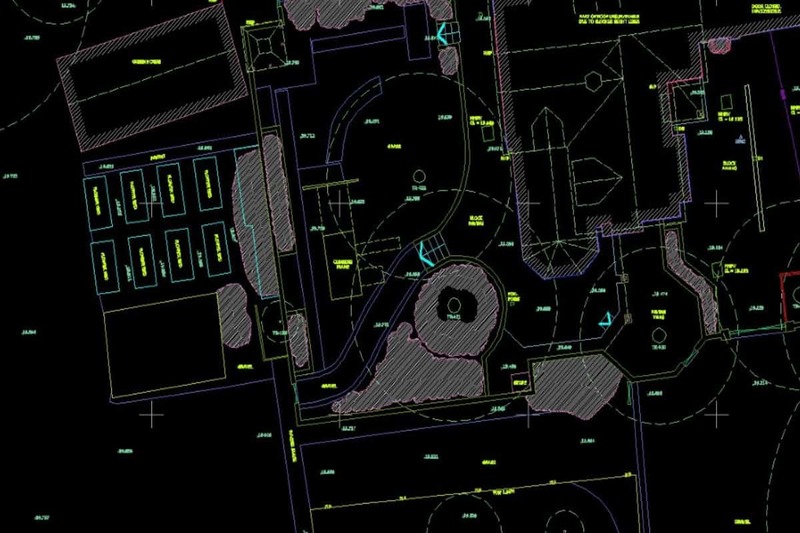 Working alongside architects, engineers and construction professionals, we undertake precise topographical land surveys and create accurate drawings for your construction projects. We make your life less stressful by providing accurate, trustworthy topographical survey data and concise drawings that can be easily manipulated. As a busy architect or construction professional, you will have seen projects where measurements were incorrect. These errors usually cause expensive delays and embarrassment to everyone involved. Getting measurements correct from the start of a project will ensure construction runs smoothly. To make the most effective design you will need accurate, dependable data. A topographical survey will highlight important details that will require consideration when undertaking. Examples include trees locations, existing drainage, buildings, ground heights, boundaries and more. Your topographical survey drawing will arrive in DWG and PDF format, ready for you to get started with your designs straight away. The drawings you receive are organised and easy to use to make your life easier. We know the pain in using cluttered disorganised drawings. Your topographical survey will be undertaken using precise GPS equipment, aligned to ordnance survey co-ordinates in both position and height. This makes the process of aligning other data types such as local area block plans an easy task. It also helps with future surveys knowing everything is aligned to the same grid system. A topographical survey (also known as a topographical land survey or topo for short) is a detailed geomatic survey of an area of land. The survey is typically concerned with picking up both man-made and natural elements. Human-made items include buildings, steps/stairs, drainage, areas of hard standing, etc. Natural elements include ground heights, tree locations, watercourses, etc. A survey is typically undertaken using a range of surveying equipment including total stations, GPS equipment, handheld lasers, and tape measures. 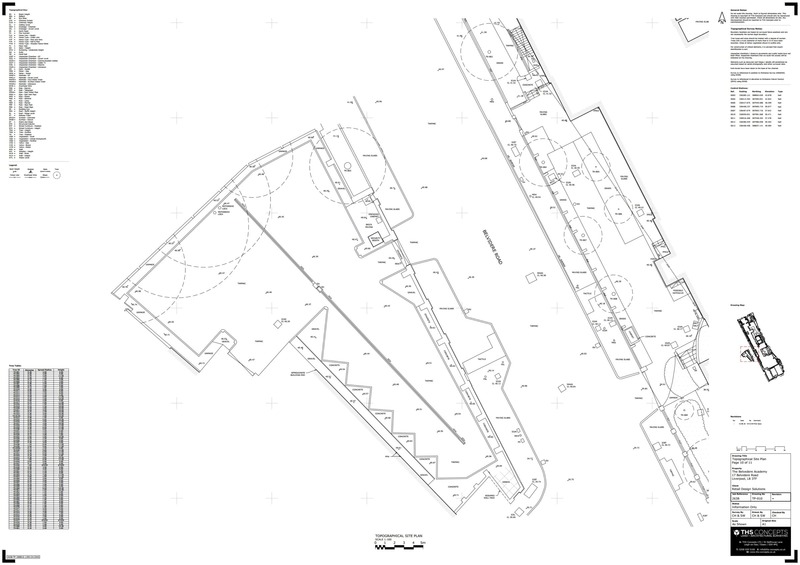 Following the site survey work, a suite of drawings are produced in CAD (Computer Aided Design) format. We offer a range of drawing types including plans, elevations, and sections. These can then be used as a basis for your proposed designs. 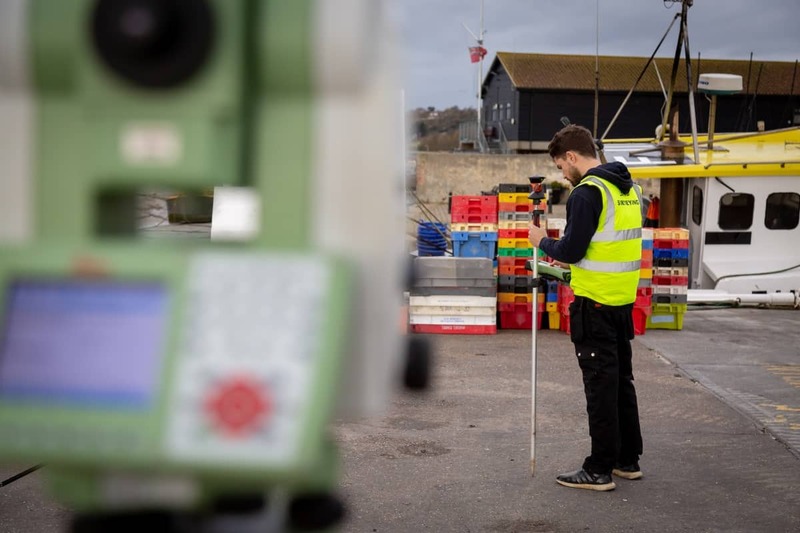 Topographical surveys can be undertaken to an in house company standard however a professional survey company will follow standards from industry bodies such as the Survey Association or RICS. Design Your Project Correctly, From the Start. How Much Do Topographical Surveys Cost? The price of a topographical survey really depends on the size and complexity of your property. 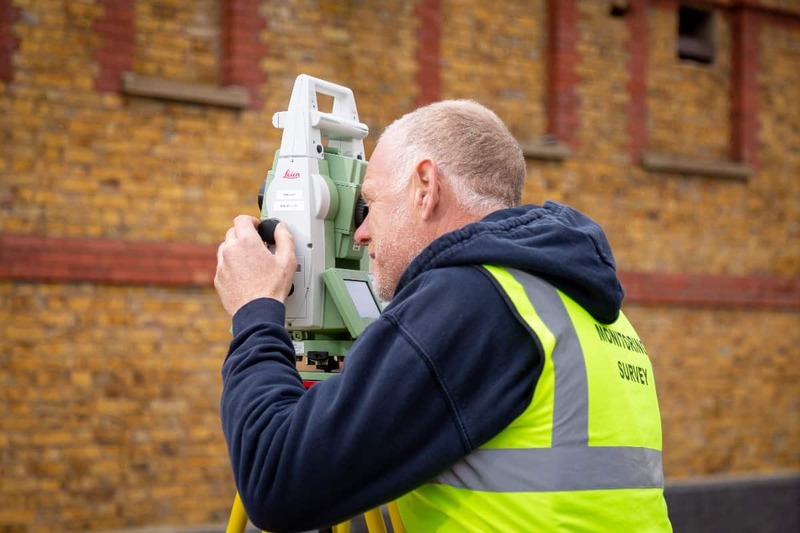 Important factors that increase and decrease topographical survey costs include: the survey area, the detail you require and the quality of the companies undertaking the survey. Typically, most land surveying companies charge between £300 and £1000 for a day’s work on site. To follow on from the survey a period of time is required in the office to draw everything up. A day’s drawing in the office may be charged at £200 to £500 a day. Don’t forget to factor in VAT! Why Choose THS Concepts to Survey Your Project? We pride ourselves in the level of customer service we provide our clients with. We are proud to offer a thorough and conscientious service that will ensure your project runs smoothly. We use the latest Leica surveying equipment to ensure your project is undertaken efficiently and accurately. Drawing updates and amendments are no problem and we aim to complete them quickly with minimum inconvenience. We’re always happy to offer advice and help with CAD. THS Concepts holds £5 million in both professional and public liability insurance and we offer a full money-back guarantee if you’re not 100% satisfied with our service. Our 4.9 star Google & “great” TrustPilot reviews demonstrate the level of customer service we provide both before and after a project has finished. Where Do We Undertake Topographic Surveys? Surveys for Architects and designers looking to develop land for residential and commercial properties. We have provided survey assistance to clients from Edinburgh to Liberia in West Africa. Undertaking work at airports, on the railways, and on the highways. Surveys for Engineers working on coastal defence, land drainage schemes etc. Click here to view more topographical drawing examples. Get in touch with us today for your topographical survey quote. We cater to your specifications to make sure you get all the information you require. 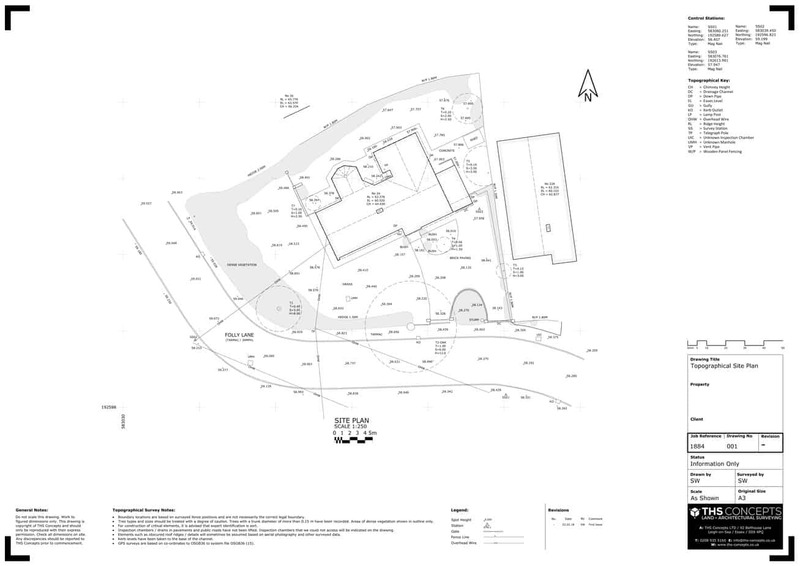 Our experienced team will visit your property to undertake the topographical surveying process. THS Concepts use the latest Leica surveying equipment to ensure reliability, accuracy and dependable data. Back in the office we produce your drawings and then send your CAD file in the format of your choice. Along with this we also send scaled PDF drawings allowing you to print off and mark up straight away. Small or large, tell us about your project requirements and we’ll provide you with a quote & proposed survey date.